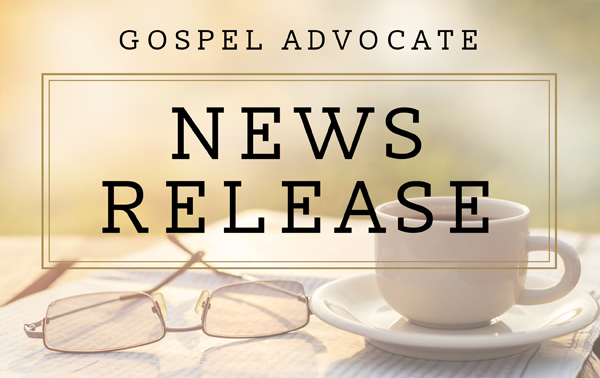 Nashville, Tenn. – The Gospel Advocate Company has been purchased by Charles Randall (Randy) Duke from Neil W. Anderson. The sale is effective April 1. Since it was begun by Tolbert Fanning and William Lipscomb in 1855, the company has published the Gospel Advocate. Considered to be the fifth oldest magazine in the United States, the 160-year-old publication has grown into Gospel Advocate Company, one of the largest publishing houses serving churches of Christ. Duke, a native of Ashland City, Tenn., earned a bachelor of science in biology from Memphis State University in 1987 and an Executive MBA from the University of Tennessee in 2009. A Certified Senior Professional in Human Resources, Duke has served in executive level positions in human resources for several wood product companies prior to starting a human resource consulting business in 2007. Currently serving as an elder at the Mt. Juliet, Tenn., Church of Christ, Duke has also worshiped with the Kensington Woods congregation in Hattiesburg, Miss. ; the Ault Road congregation in Knoxville, Tenn.; and the Old Hickory, Tenn., congregation. Duke also works with the Bear Valley Bible Institute in Denver, Colo., as director of development. 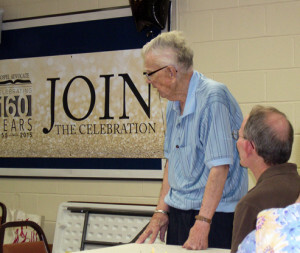 Duke has been married to the former Jodie Galloway since 1990. They have two married children – Chet (Rachel) Duke and Hannah (David) Lee. Well-known editors of the Gospel Advocate include Tolbert Fanning, William Lipscomb, David Lipscomb, B.C. Goodpasture, Ira North and Guy N. Woods. The current editor is Gregory Alan Tidwell. The magazine has been known for its biblical commitment, covering a variety of topics, maintaining a moderate tone, and its approachability. The Gospel Advocate Company, publishers of magazines, Bible school curriculum and books, serves churches worldwide through its catalog, phone and Internet operations. The Gospel Advocate has bookstores in Nashville and Dallas. Follow us on Facebook and Twitter for more information. For a printable copy of this news release, click here. Gospel Advocate held a family reunion of sorts on Wednesday, July 15. 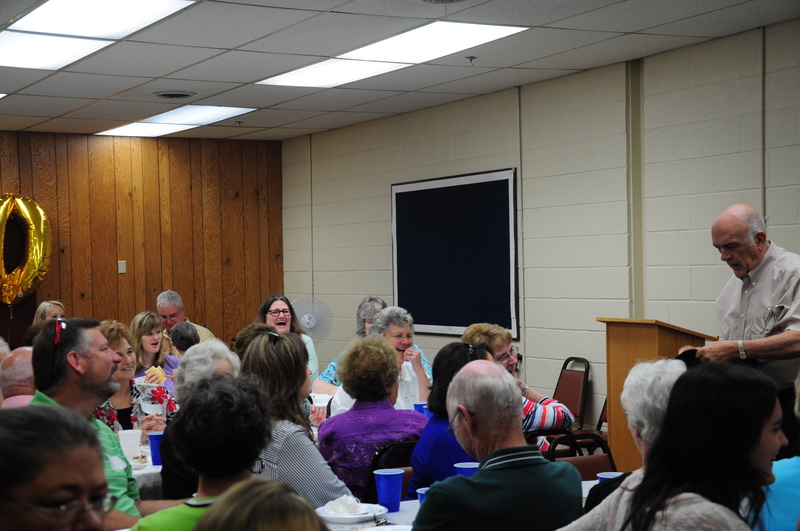 Former employees came back for lunch and a time of fellowship; Neil Anderson and Greg Tidwell spoke briefly about the history of Gospel Advocate and thanked them for their service to Christians everywhere. 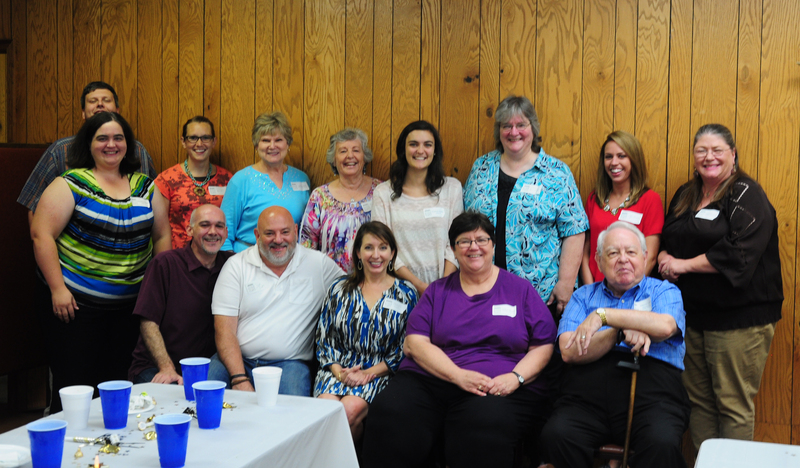 It was fun to see some of our GA family all in one place, and we look forward to more reunions in the future. We’ve included a few photos here, but check out our Facebook page for more. Make sure to follow us on Facebook and Twitter for more plans and announcements for out 160th anniversary. 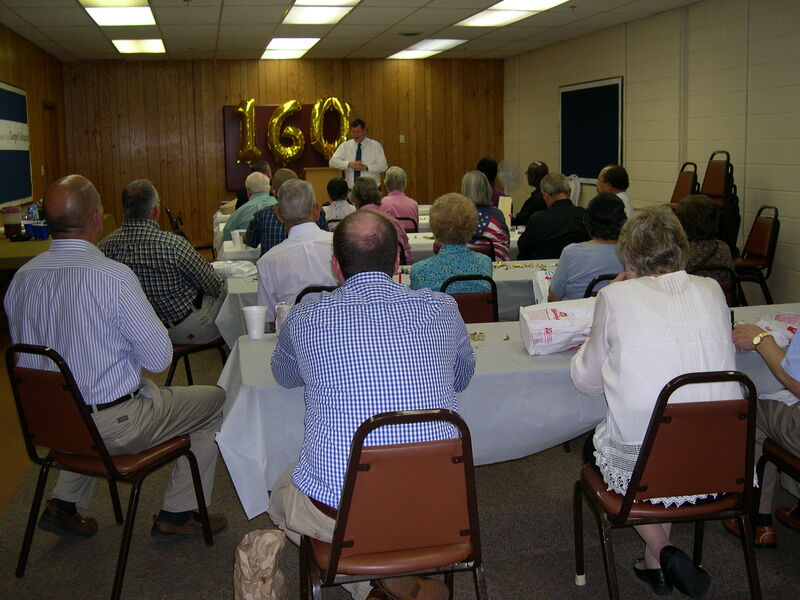 Gospel Advocate President Neil W. Anderson addresses current and former employees at the GA “family reunion” held during Gospel Advocate’s 160th anniversary open house. Current and former members of the editorial services department. 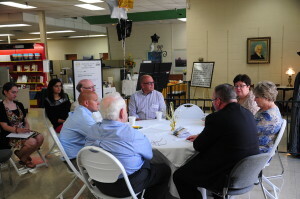 Gospel Advocate current and former employees fellowship and catch up at Gospel Advocate’s 160th anniversary open house. Gospel Advocate’s 160th Anniversary Open House was a resounding success. We wanted to give you a brief recap so you could see all the fun. We hope you will be able to join in some of the other activities we have planned in the coming months. Check our Facebook page for more photos. Make sure to follow us on Facebook and Twitter for more plans and announcements about our 160th. The week started off with a lecture on Marshall Keeble by Amanzo Jones, the preacher for the Hart Street Church of Christ in Nashville. 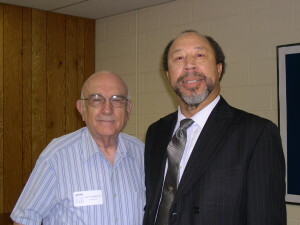 He is pictured here with Gospel Advocate President Neil W. Anderson. The July Middle-Tennessee Preacher’s Luncheon met at Gospel Advocate’s Nashville bookstore on Monday, July 13, with more than 50 in attendance. GA editor Greg Tidwell spoke. Four brown bag devotionals were held. 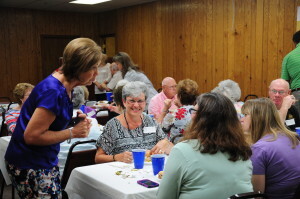 People from the Nashville area came at lunchtime to eat, fellowship and enjoy a good lesson from speakers Phil Sanders, Matthew Morine, Aubrey Johnson and Justin Rogers. 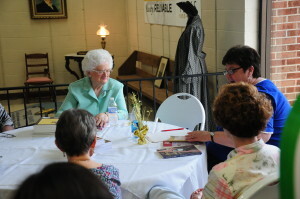 Several GA authors came to read from their books and discuss the writing process. Shown here, top left, is Joanne Howe, who shared part of her life story and her motivation behind the writing of her book A Change of Habit. The week even included a panel discussion on writing for Christian publishing conducted by Gospel Advocate editor Greg Tidwell, Christian Woman editor Janie Craun, GA’s Acquisitions Editor Dennis Loyd, and GA’s Vice President of Editorial Services Debra Wright. Gospel Advocate Company is pleased to announce our 160th Anniversary Open House Schedule. Look for some of your favorite authors and speakers who will be reading from their books and signing autographs, as well as leading devotionals. • Hourly drawings for door prizes. J.W. Shepherd, James A. Harding and more. • 10 a.m.—”Reflections on Marshall Keeble” presented by Amanzo Jones, minister at the Hart Street Church of Christ in Nashville. • 10 a.m.—Greg Tidwell reads from his book The Effective Edge. • 2 p.m.—Duane Warden, Harding University professor emeritus and author of Gospel Advocate’s annual commentary Companion discusses writing. • 2 p.m.—Christian Woman Editor Janie Craun reads from A Recipe for Peace. • 10 a.m.—Gospel Advocate editor Greg Tidwell and Christian Woman editor Janie Craun host a panel discussion on writing for Christian publications. • 10 a.m.—Aubrey Johnson reads from his book God’s Game Plan. • 2 p.m.— Joanne Howe reads from her book A Change of Habit. • 10 a.m.—Elizabeth Jimenez reads from her book Sweet Speak. • 2 p.m.—Justin Rogers reads from his book In the Beginning. Make sure to follow us on Facebook and Twitter for up to the minute plans and announcements. We look forward to seeing you! 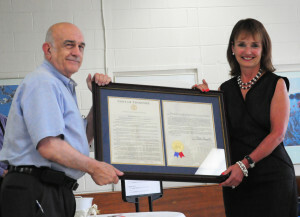 Neil W. Anderson receives a framed copy of House Resolution 55 from Tennessee Speaker of the House Beth Harwell. Yesterday, July 9, Gospel Advocate was honored by the Tennessee House of Representatives. Its proud history of service to Christians was recognized through House Resolution 55, a resolution recognizing the Gospel Advocate on the celebration of its 160th anniversary. Tenn. Speaker of the House Beth Harwell stopped by the Nashville bookstore to present GA Publisher, Neil W. Anderson, with a framed copy of the Resolution. It was a great kickoff for the first day of our open house. Anderson took a moment to show Representative Harwell some of the Gospel Advocate archive materials on display exclusively for the GA open house. 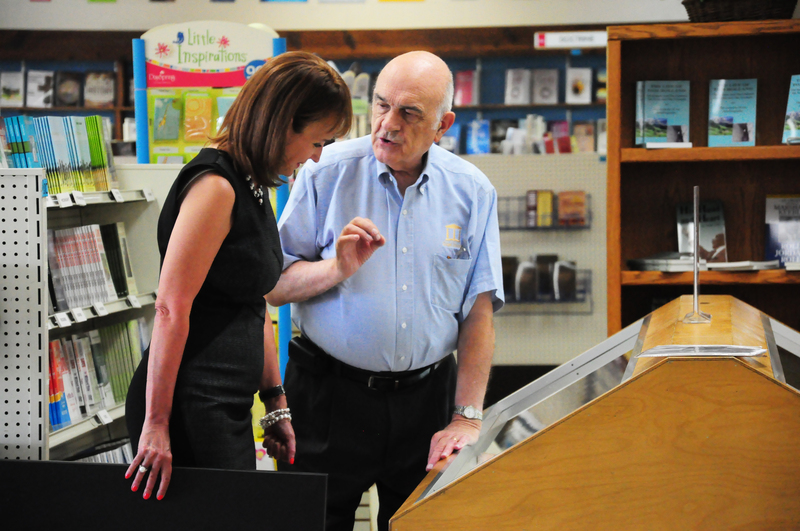 Neil Anderson discusses Restoration history with Tenn. Speaker of the House Beth Harwell at the Nashville GA bookstore. We have great plans for celebrating this momentous occasion, both online and in our bookstores, so make sure to follow us on Facebook and Twitter to stay in the loop. Visit us in Nashville July 10-18. We look forward to seeing you! We are more than grateful to our friends for their overwhelming support of Gospel Advocate. We asked for your help in increasing our online presence, and you responded with enthusiasm. We achieved our 160th anniversary goal of 1,600 Facebook likes in only a few days, and our total continues to grow. Gospel Advocate is one of the oldest publications in the country, and we appreciate your efforts to help us to continue to spread the truth. We have often been described as the “old reliable,” and we hope our fans and customers will come to see us as we continually strive to be: Always Reliable. We have great plans for celebrating this momentous occasion, both online and in our bookstores, so make sure to follow us on Facebook and Twitter to stay in the loop. We look forward to seeing you! This is a monumental year for the Gospel Advocate – we turn 160 in July. 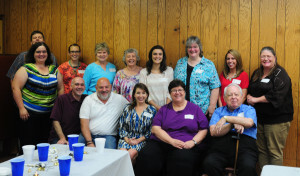 Our employees started the celebration off a little early at our summer quarterly potluck on June 3. Gospel Advocate has a rich heritage of serving churches of Christ with Bible class materials and church supplies that are scriptural, accurate and always reliable. Be sure to follow us on Facebook and Twitter, for updates on product specials and anniversary events coming soon. 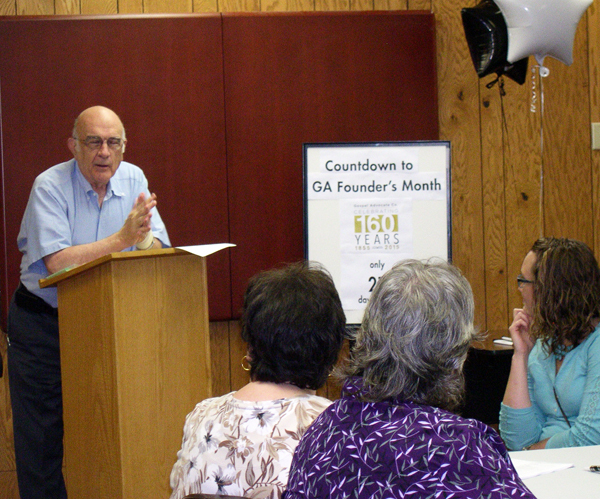 GA Publisher Neil W. Anderson addresses GA employees at the 160th anniversary kickoff luncheon. 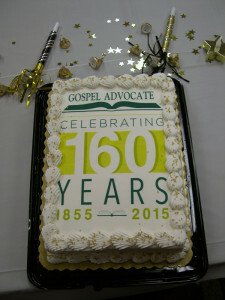 This is a monumental year for the Gospel Advocate – we turn 160 in July. When David Lipscomb and Tolbert Fanning were co-editors in 1866, the subscription price was $2 a year. Money was hard to come by during that time, and the magazine was in danger of folding. 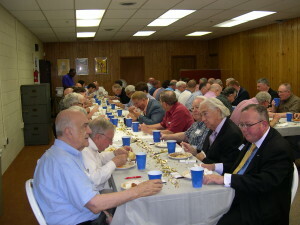 Lipscomb pleaded with the brethren to help get 500 additional subscriptions to break even. By October 1868 the magazine became self-sustaining. As we enter this 160th year of publication, which includes social media sites such as Facebook and Twitter, we need your help again. Help us spread the word about Gospel Advocate. In honor of our 160th anniversary, help us get 1,600 “likes” on Facebook by July 1. Ask your friends and family to check us out. Fanning & Lipscomb would appreciate it; so will we. 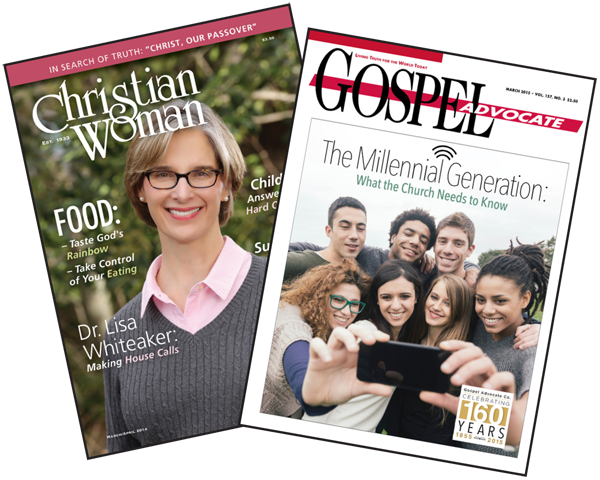 As an extra incentive, we will randomly select one of our fans on Facebook to receive a free 1-year subscription of Gospel Advocate magazine. Most of you are familiar with the Gospel Advocate magazine, our flagship publication. 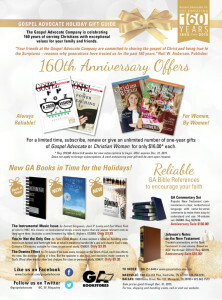 But do you know about Christian Woman, our magazine for women, by women? Did you know that Gospel Advocate also publishes Bible class books written by members of the churches of Christ? Gospel Advocate publications are always looking for talented authors who want to share God’s Word with others. If you have an article or book idea that would be helpful or edifying for our readers, consider submitting it to us for publication. Our writer’s guidelines are available for download here, or email gaeditorial@gospeladvocate.com with any questions. Copyright © 2013 Gospel Advocate Company. All rights reserved.